Teaching your players that a baseball diamond can vary substantially from one park to another is yet another skill a coach must teach. This quirk does not only apply to amateur parks, but major league stadiums costing multi-millions to build, are subject to nature and the grounds keeper. The first time you visit an unfamiliar ball park is not unlike meeting a stranger, first impressions count, but are not always accurate. As you unload your equipment from the bus, the first thing you’ll notice is the parking lot. A professionally striped concrete or asphalt parking lot means money is of little object, and if that’s the case, the fields will be immaculate. 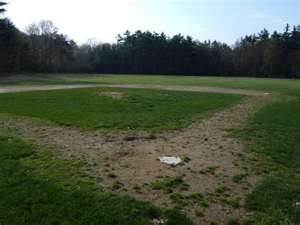 Parking in a weed and grass overgrown field quickly brings about thoughts of a pot holed infield and an overgrown outfield, and if there are lights, they’re antiques with a large portion of them not working. 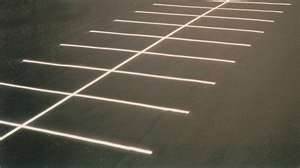 Don’t feel embarrassed that you’re passing judgment based on a parking lot, as the scenarios often prove to be accurate, but not in all cases, and you must deal with all cases. 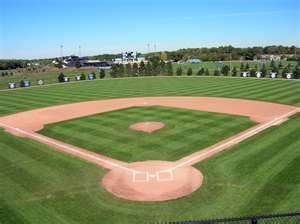 You’ve made it out of the parking lot, but you’re still not to the diamond yet, as the next stop is the dugout. 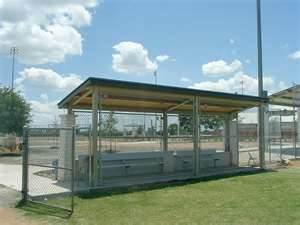 Again, some dugouts are constructed of concrete, floor and sides, with a metal roof, others are constructed of 4 - 4x4s, encased in chain link fence and a wood roof with roll roofing, while some parks may not have a dugout at all, but only a wood or metal bench for the players to sit on. This is not the major leagues so don’t expect water fountains, a bull pen telephone or a rest room adjacent. (1.) Are the players protected from foul balls? Most ball parks, no matter how poor, will have a protective chain link fence protecting the players, but nothing is guaranteed. Check. (2.) If there is a water fountain, check to see if it works and if it appears sanitary. If it works, but is obviously filthy, give orders that nobody uses it. You’ll always have your water jug with you, but players will use the fountain occasionally anyway unless they’re directed not to. (3.) If the dugout has a dirt floor, always place the water jug at the far end away from the exit into the field. If you don’t there will be a large mud puddle at the dugout entrance, for everyone to dance around or slip through by the third inning. You’re finally ready to analyze the field your players will do battle on, beginning with the infield. Let’s itemize a general list of things to check, but remember, all fields are different, therefore this list may not be all inclusive. (1.) The soil make-up of the infields of most little league ball parks are composed of the elements on which they are constructed as bringing in a soil mixture ideal for a baseball infield, is usually quite cost prohibitive. The infield may be rich farm soil, which when damp, becomes tacky, resulting in what’s known as a slow track. This tackiness, or softness if you prefer, will slow ground balls down, meaning infielders must charge ground balls regardless of how hard they come off the bat. It also makes running the bases difficult. The extra energy and time required for the feet to move forward in this type of environment slows the runner down. What’s so deceiving about it, is the difference in speed is not visibly noticeable, as it would be in a rather wet and tacky infield, making players wonder how they were thrown out at home when they were so sure they could score from second base. (2.) 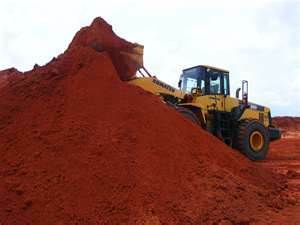 An infield which has been subjected to a lot of sand and other various drying compounds used during wet weather conditions, can become incredibly hard when baked in the summer sun, which poses several issues. A hard infield is a fast infield, as a hard hit ground ball will have the tendency to scoot across the ground instead of bouncing, with the speed steadily increasing. Infielders must put into their minds they must move quickly side to side in order to get in front of the ball, or else risk the ball scooting by their outstretched glove. Additionally, what may appear to be a routine ground ball hit directly at them, becomes a rocket sliding under the glove if fielded in a lazy manner. Running the bases will not normally be affected by a hard infield, unless the player is not wearing footwear with spikes, metal or rubber. A player running in a slick soled tennis shoe becomes vulnerable to losing their footing when attempting a drastic or quick direction change. A hard infield will affect sliding. Just as the baseball scoots rather than bounces along the packed surface, the body does essentially the same thing. This poses two issues if the surface is not taken into account. (2.) The player will be more prone to injury, especially raspberries or scraping wounds, because the surface is extremely rough and hard. Most players I know would be more concerned about sliding past the base, but a slightly bloody raspberry can be painful and extremely annoying, which takes your focus off the baseball game. (3.) Check out the pitching mound, regardless if your players are old enough to throw from 60’ 6” or not. There will Always be a hole where the pitchers from prior games landed, and if you’re the first game, there will be remnants of holes which were filled in. 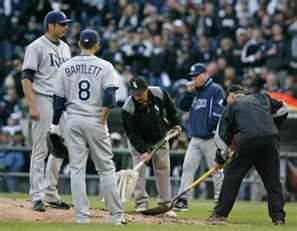 If you’re concerned about the mound condition now is the time to inform the umpire so repairs can be made prior to game time. This is an extremely important matter, as your pitcher is subject to severe ankle injury should his landing position be in or adjacent to a poorly repaired hole. This applies to any pitching surface, as diamonds not designated official size, still has normal holes where whatever division players landed. Lastly, take a quick look at the backstop, as some are strictly stretched chain link fence, which depending on its condition can either serve to spring the ball back to the catcher or deaden it. Others may have padding attached, which obviously will deaden the ball, it’s just a question of how much, while some may have wood attached to the fencing, again the ball will bounce right back to the catcher. This, combined with the distance from home plate to the backstop, is instrumental in determining if a runner on third can score on a passed ball.